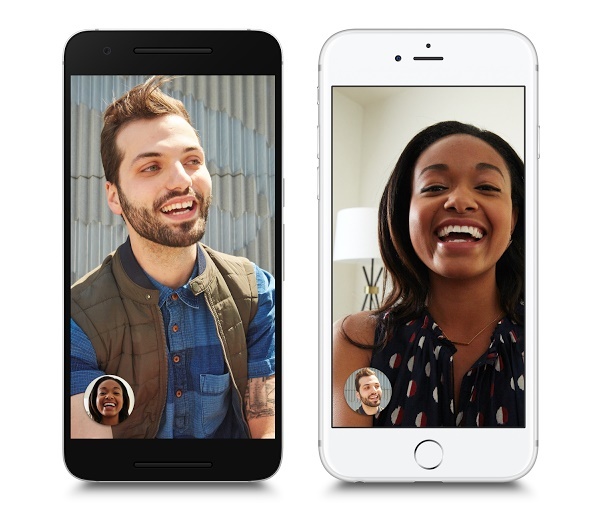 Google has launched a new application Google Duo which facilitates 1-1 video calling for everyone. Since video calling is widely used by users across the world, Google thought of developing an app that can eradicate the issues faced by users during video calling and make video calling experience smoother. Video calling always suffers connectivity issue and hence video quality problem. This app will resolve all such obstacles. The app has been made simple with very clean and basic UI. All you need is a phone number and no more extra hazards of signing in. That means, you won’t need any separate account for the application. Besides, the app is such developed that it will adjust itself with changing network conditions and hence users won;t find any difficulty with connectivity. As google mentioned in its blog post, Call quality adjusts to changing network conditions to keep you connected — when bandwidth is limited, Duo will gracefully reduce the resolution to keep the call going smoothly. For video calls on the go, Duo will switch between Wi-Fi and cellular data automatically without dropping your call. You can start your call at home, and continue seamlessly even when you head out the door. The Google Duo app has a new interesting feature called Knock Knock. Knock knock lets you see live video of your caller and you will know why the user is calling you. For example if your friends have called you at midnight to wish you for birthday, then their live video will let you know why they have called you.